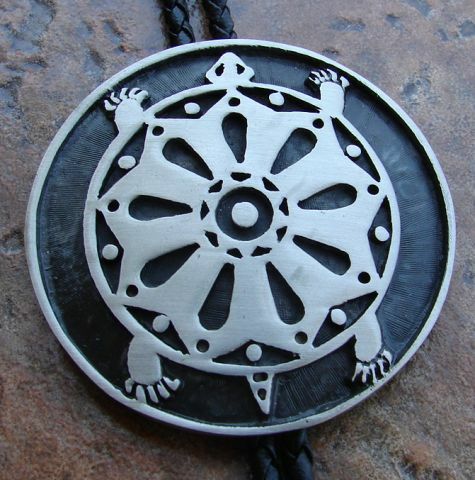 Pewter, TURTLE Bolo tie. Indian Symbol of long life, strength, perseverance. Considered to be able to defy death! Pewter, TURTLE Bolo tie. Indian Symbol of long life, strength, perseverance. Considered to be able to defy death! Pewter tips, black leather strap. Approx. 2¼” dia.